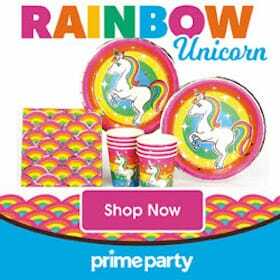 With the holiday season quickly approaching, we have already begun searching for the perfect presents for nieces and nephews of all ages. 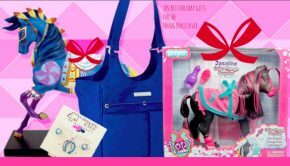 As we were searching for ballerina musical jewelry boxes, we happened upon these adorable spinning pony musical jewelry boxes and had to share. 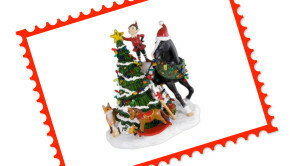 One music box is cuter than the next and there are options for horse and pony lovers of all ages! Enjoy! 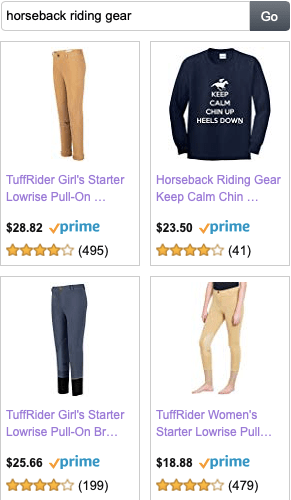 Not quite seeing what you are looking for? 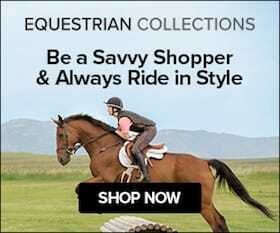 Looking for something a little more sophisticated? 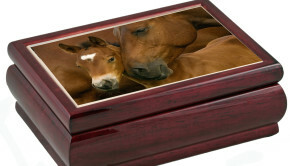 Be sure to check our recently updated Beautiful Collection of Horse Music Boxes! 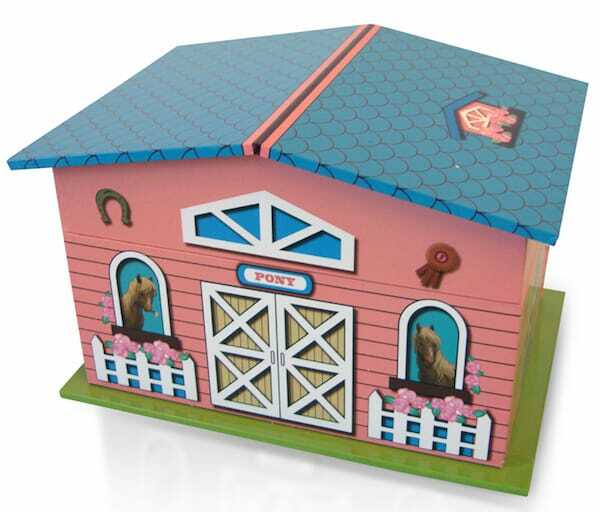 Adorable Pink and Blue Pony Farmhouse with Spinning Pony Musical Jewelry Boxes >> This Pink and Blue Pony Farmhouse Design is lined with pink fabric. 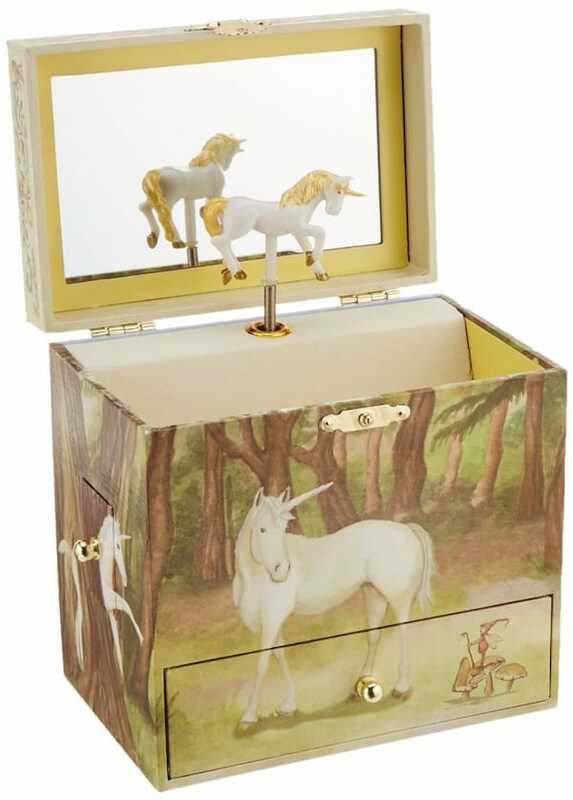 Inside this single compartment jewelry box you will find a pony that spins to the Tune of “Swan Lake”. 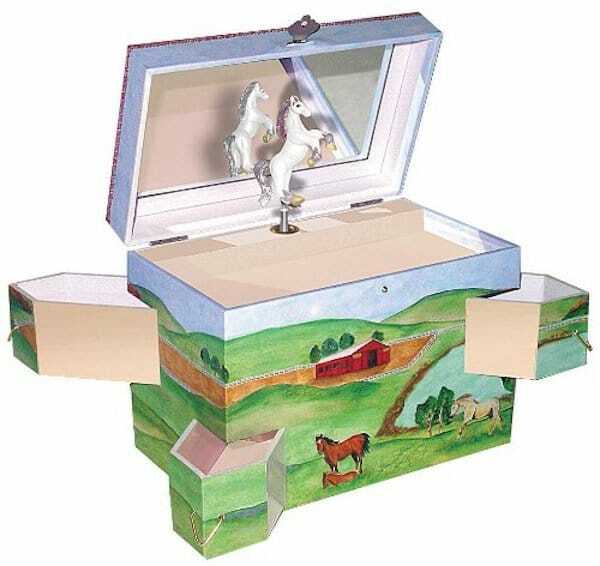 Enchantments Hideaway Horse Music Boxes >> Enchantments Hideaway Horse Musical Jewelry Box is just perfect for keeping jewelry, photos, collectibles and more. 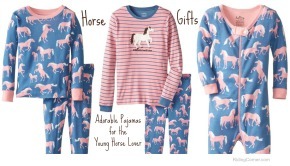 The Box is covered with wonderful illustrations in a gentle wash of patterns and colors. This box is especially perfect for keeping for top-secret trinkets, with its four hidden drawers conveniently tucked into the corners for a whole new storage slant. 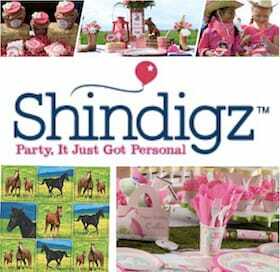 Summary: Looking for an enchanting birthday or holiday gift for a young horse lover? 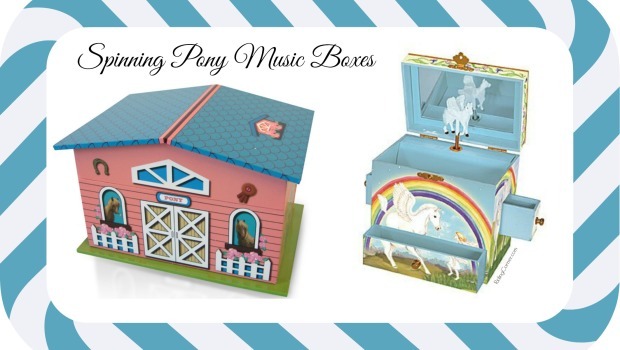 We love these spinning pony musical jewelry boxes and she will too!